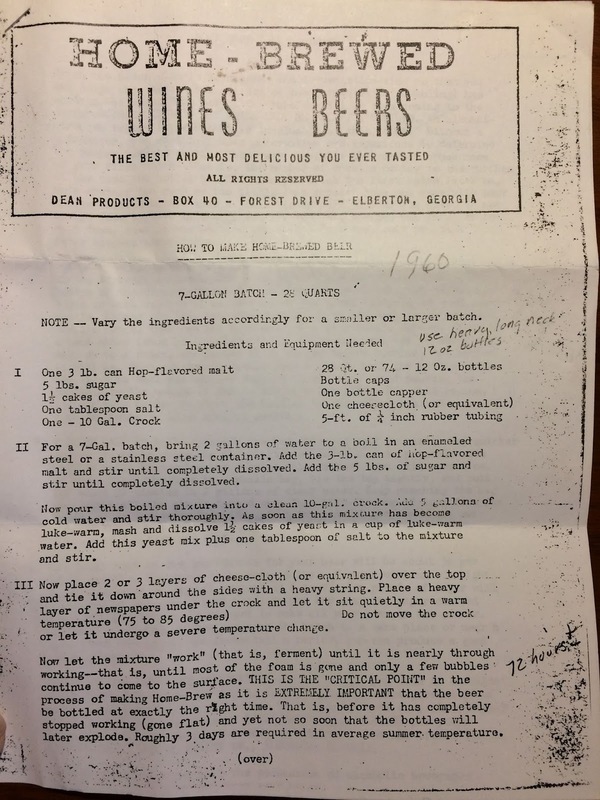 I have not tried my hand at making beer personally. I grew up around beer making because my parents used to make it. 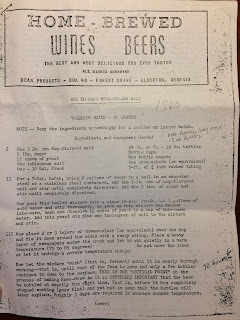 My mother came by beer making honestly because her father made beer as she was growing up as well. 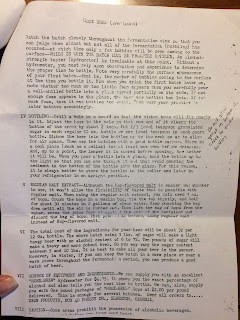 A few years ago my Grandfather gave me a copy of a recipe and to tell the truth I didn't look at it right away. 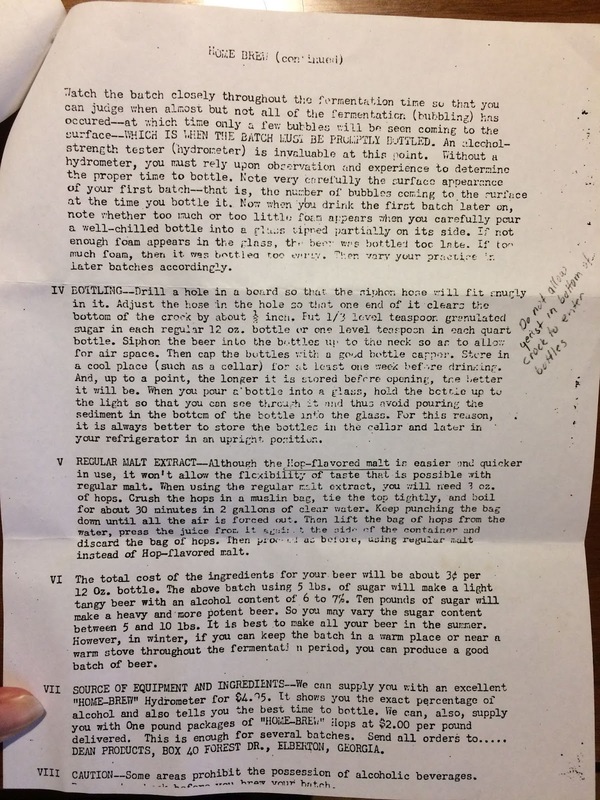 As I was unpacking more stuff from our move a few months ago I found that recipe he had given me and it was the recipe he used to make beer in 1960. How Cool!